Thanks to the insane amount of time we spend on Instagram (I'm too scared to look at the hours notched up on my iPhone settings), we discover a lot of new brands. The women on our radar (and the women in our office) are truly adept at uncovering cool, affordable labels from across the globe, allowing us to cultivate truly unique wardrobes. Sometimes buying something niche from a far-flung corner of the internet can feel like a risk, but it often pays off. Case in point: Subtle Simple. Brittany Bathgate's followers were keen to know where she'd snapped up a balloon-sleeve white cotton dress recently, and she kindly revealed her secret: an unknown but ultra-chic label of minimalist goodies based in Vietnam. 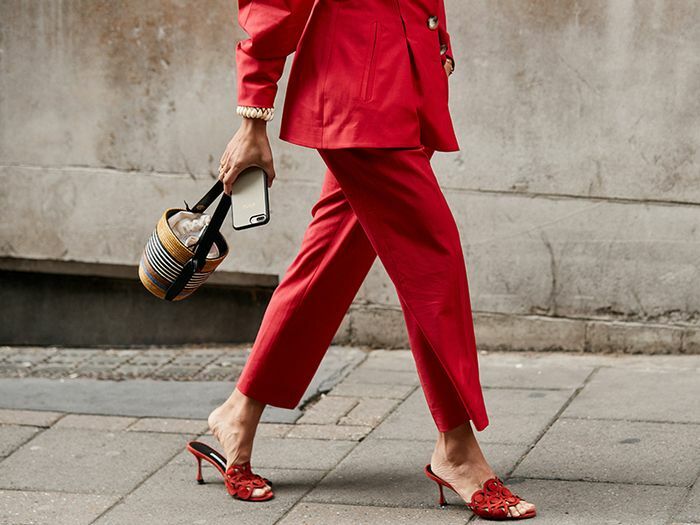 Not the place we'd usually search for cult affordable labels, but therein lies just one of the many joys of fashion on Instagram. With statement silhouettes rendered in neutral, classic, expensive-looking colors and fabrics, Subtle Simple ticks off the trends that you'll also find at the likes of Zara, COS, and & Other Stories right now. I would even go so far as to say there's a cut-price Céline-ness to the whole thing, so if you've always dreamed of being that woman but have definitely never had the budget, this could be your new go-to.